Nitrogen Vs Air In Tires: What’s The Difference? Nitrogen vs air in tires; which is best? Now that’s a head-scratcher. But if we’re being completely open here, very few motorists have had to earnestly weigh between these two options when its time to fill up their car tires. For those who have thought, things can get a little, to say the least, muddled up. It may not always be clear why one should choose one over the other. Fortunately, if you find yourself reading this, that’s about to change. Like any car owner out there, am sure all you want is to keep your tires up and running efficiently for as long as possible. Sure, you will have to change them up after some time; yet an extended tire life wouldn’t hurt now, would it? The debate on whether using air or nitrogen in your tires influences tire sustenance is indeed a heated one. Nevertheless, the following should help you form a pretty clear idea of where your loyalties lie. Nitrogen takes up 78% of air. You know what else? The gas pretty much harmless. That must be why its use in tires is gaining a ridiculous amount of popularity, right? Well, that’s not necessarily the case; the fact is that nitrogen offers up a bunch of benefits when used to fill up tires. Here are some of them. Nitrogen particles are considerably large; this gives it a huge advantage over regular air. To fully understand how we’d have to get into a bunch scientific mumbo-jumbo that may confuse you even more. 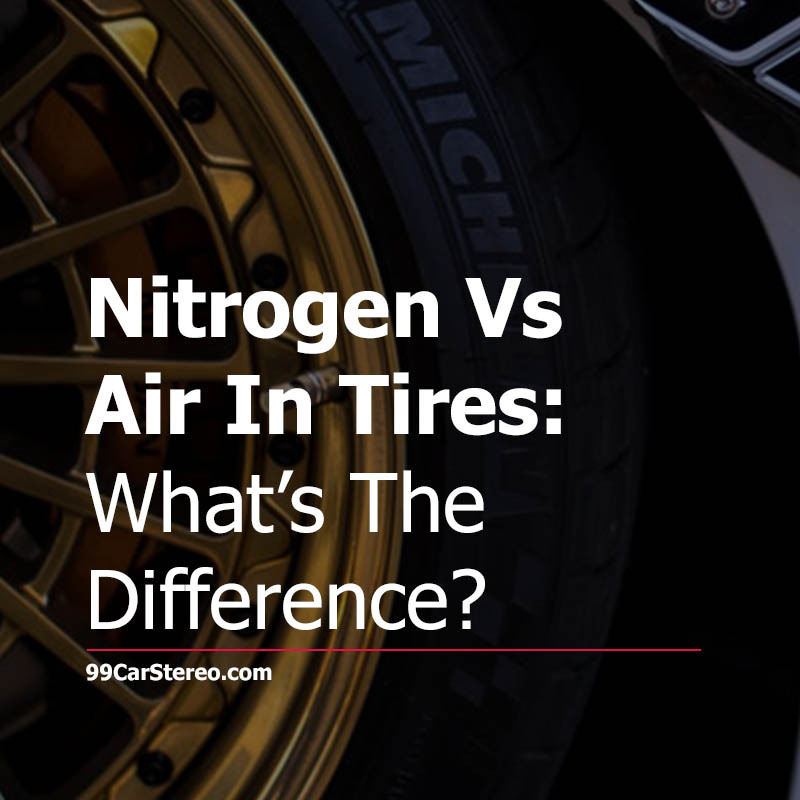 However, to put it simply, nitrogen seeps through the tires a lot slower compared to air. The result? Nitrogen filled tires retain more stable pressure levels for longer periods of time. Tire de-inflations are more rampant with air than they are with nitrogen. Being an inert gas, nitrogen is a moisture-free gas. This eliminates moisture based reactions and effects that often gradually lead to the tires’ demise. The absence of moisture also helps maintain a tire’s inflation negating related wears. 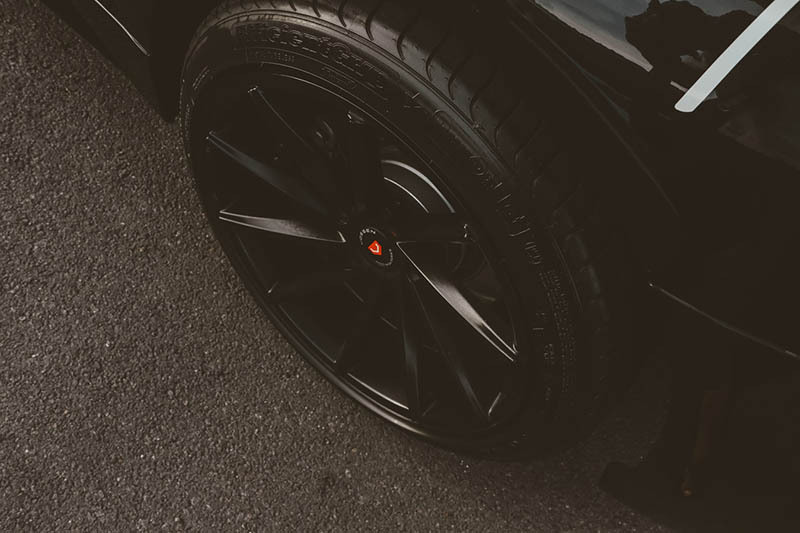 Even so, proper and regular maintenance is still necessary to keep the tires in top notch conditions. There is a reason why air-crafts, race cars and heavy equipment use nitrogen in place of air. It not only reduces any chances of spontaneous combustion, but it also allows for better tire control when in motion. If you’re thinking that’s due to its stable pressure purview, then you’re absolutely right. And on top of it all, the gas is totally innocuous, remember? That said, if you’re all about a greener ambiance, nitrogen is it for you. Like most seemingly good things in life, nitrogen to comes with a few drawbacks. For one, if you decide to use nitrogen in your tires, you must be ready to cough up a few extra dollars. Yes, nitrogen is definitely more expensive compared to air. On that same note, you must also regard the fact that nitrogen is not as readily available as most would prefer. Unlike regular air, it may not always be possible to top up your tires in any gas stations. Although it is possible to top up nitrogen filled tires with air, that will certainly rebut the benefits enjoyed in the case of pure nitrogen. When you hardly use your vehicle, nitrogen would be best for the tires as it helps keep them inflated longer. The case remains so if you intend to keep your vehicle stored for long. In other words, it is great for collectible cars. Secondly, nitrogen is also a clever choice in cases where the vehicle in question is used for race purposes. Maybe some good old air instead? As good as nitrogen may sound, we cannot fully dismiss the use of air. It has, after all, been successfully used in tires for well over a century. And as you would expect, regular or compressed air also has a share of pros and cons worth considering. With air, you can get your tires filled for a few dollars at most gas stations. In some cases, it may even be free. Unlike nitrogen, you can get an air tire pump pretty much anywhere. It doesn’t matter whether you’re stuck in the middle of nowhere; the most you may have to do is find the closest gas station. Regular air contains large amounts of oxygen; and while oxygen is pretty much why we’re alive, in tires, the gas causes more harm than good. Oxidation is an inevitable process where oxygen is rampant; in this scenario, it may lead to premature tire aging. It also increases the chances of a tire blow out. Since air seeps through the tires a tad bit faster compared to nitrogen, you may have to inflate your tires more often. This, considering air top ups cost so little, may not be an issue for most people. Here’s the deal, both of the two contenders always get the job done. But when you compare the notes, it is evident that nitrogen has the upper hand. But as a regular motorist, is nitrogen right for you? There has quite a dissonance on whether ordinary drivers can derive any considerable benefits over using nitrogen instead of air. The truth is, the merits are there; the only problem is that they may not be as palpable as you would expect. The bottom line is that your tires a need a certain level of maintenance in order to keep running for a decent duration of time. Whether air or nitrogen, maintenance is a no-compromise requirement. In the end, the decision depends on preference as well as the nature of vehicular activity involved. If you don’t mind spending a few extra bucks on your tires, switching up to nitrogen is not at all a bad idea. All things considered, the change may actually turn out to be a lot more propitious than expected. But if you prefer to keep things old school, air is just as efficient. The only difference is that nitrogen will keep things a bit more steady for longer than air would.